BOOK ALERT: “Doing Good… Says Who? 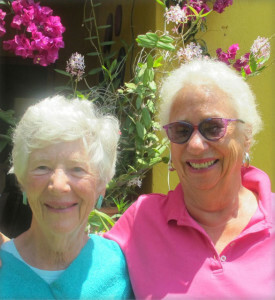 Authors Connie Newton and Fran Early. Angélica, a Mayan village widow with five young children, earns a living by making dolls from discarded textiles stuffed with straw and cornhusks. Facial features embroidered with brightly colored thread give the dolls personality and makes them popular at the market. Recently, though, the cost of medicine for a child with an infection has wiped out Angélica’s savings and made it impossible to pay for electricity. The one light bulb hanging from the ceiling made it possible for her to work on dolls in the evening. Now, without that light, there are fewer dolls to sell at market. Angélica may not even be able to make her biweekly repayment to her micro-lending coop for the $200 loan that enabled her to begin her business. Stanley is visiting Guatemala for the first time on a weeklong mission trip. He is to choose which of three possible projects his professional networking group in Cleveland will sponsor as their initial international project. His first visit is to Angélica’s two-room home with its dirt floor, corrugated metal roof and the lone light bulb on which Stanley bumps his head as he tries to squeeze into the home’s small space. It is impossible to see the dolls in the dark house, so they go outside into the dirt yard, where Angélica’s children proudly show him dolls they have helped to make. Stanley, thinking of his own grandchildren and comparing their lives with those of these shy but smiling children, wants to help Angélica to pay her bills and to have a decent home. So, he does what—to him—seems to be an easy solution. He pulls out his checkbook and writes a check for $10,000, to be given to Angélica. He is doing good, right? Joe, the translator who has accompanied Stanley to Angélica’s home, is shocked, even though he has had experience with foreigners passing out gifts during one-week mission trips. His first thoughts are that $10,000 is probably half the GDP of the entire village, and that probably most of the people don’t know what a check is. Then, he remembers other situations: the 16-year-old girl thrown out of her home when a foreigner gave her $100, because her mother thought she must have prostituted herself. How else could she have received such a huge amount of money? Then, there was the family who received a new home, and moved, not into the house, but to another village, when jealous neighbors threatened them. Or the mother who had angrily told Joe “don’t make my child a beggar” when he gave a small boy a few coins. How, then, does Stanley reconcile Angélica’s needs with his well-meaning desire to help her? Through the many vignettes presented in this fashion, the reader feels Angélica’s needs and Stanley’s desire to help, and begins to understand ways in which this can be accomplished without creating harmful unintended consequences. The reader learns that, despite Stanley’s initial perception, Angélica may actually be better off than many in her village. A donation to her micro-lending co-op, whose members provide her with emotional as well as financial support, will help her and others, and prevent Angélica from becoming a target of envy. 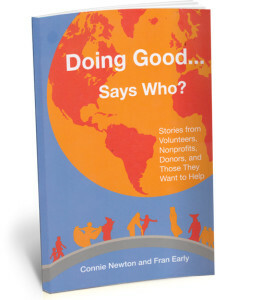 Through readable and interesting accounts of help that didn’t help, maybe helped, and actually helped, the authors have demonstrated the five principles they believe are necessary to intervene in a positive manner. 1) Respect and Value People. 2) Build Trust Through Relationships. 3) Do “With” Rather Than “For.” 4) Ensure Feedback and Accountability. 5) Evaluate Every Step of the Way. How to follow those five principles during a one- or two-week mission trip? The authors present the possibility of rethinking the short term “volunteer” as a “visitor.” The visitor volunteer will want to be aware of the five principles, plus language and cultural differences. Debate continues about whether a monetary contribution may be more valuable than a week in which a volunteer develops blisters building houses or planting trees. A study done by Kurt Ver Beek, for instance, evaluated a project that built houses in Honduras after a hurricane. Estimated expenses for volunteer travel, food, and lodging meant that each house built by volunteers cost $30,000. The same house built by locals cost $2,000. An additional 14 houses could have been built with a monetary donation of that amount, and locals would have received jobs. What about the value of an encounter with cultural differences to the volunteer himself? Ver Beek also tracked whether volunteers’ world-view or actions were changed by the volunteer experience. He discovered that, within six to eight weeks after the trip, there was little evidence of lasting changes, either in giving for mission or in attitudes toward others. What then is the positive side of a week or two of “Doing Good?” NGO staff report that short-term visits are good for fundraising over time. Often church or other groups become involved, and members of the extended group contribute and come to visit, increasing the circle of contributors. Then, too, a handful of the short-termers come back for a year or two, when relationships can be built, and much more accomplished.